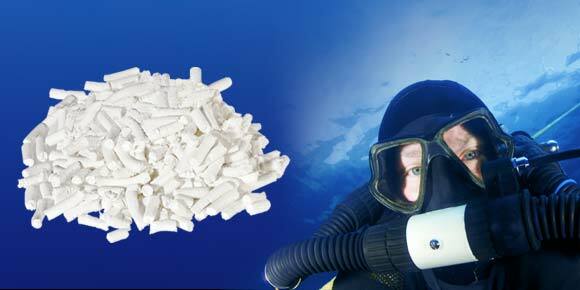 DIVELIME offers two grades of soda lime, Intersorb® 812 and Spherasorb® 408, which have been specifically developed for rebreather diving. Both have been tested to, and conform to the STANAG 1411 and EN14143 Standards for rebreathers. Intersorb® and Spherasorb® diving soda lime’s are tested to ensure they meet the requirements of the NATO standard STANAG 1411. Furthermore, the packaging in which they are contained, ensures they maintain complience with this standard while sealed and unopened, for five years from the date of manufacture. 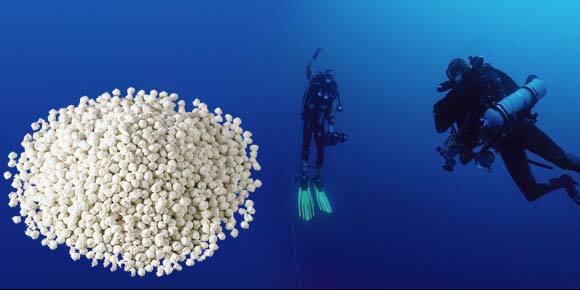 However, once the packaging of Intersorb® and Spherasorb® diving sodalime is opened, it is the responsibility for the user/dealer/owner to ensure that the product is used in the appropriate diving equipment and in the appropriate way, according to the instructions for use provided with the diving equipment. The manufacturer of Intersorb® and Spherasorb® diving soda lime’s cannot and will not take responsibility for incorrect use or storage, or product that has exceeded the expiry date stated on the product. Spherasorb® 408 is a spherical shaped soda lime, with a 4–8 mesh particle size. The combination of the spherical shape and particle size leads to good packing within the absorber/scrubber, very low dust levels and relatively low breathing resistance. Read Spherasorb® technical information.